When people ask Amy Kite what she does for a living, she replies, “I help individuals build their future and create their legacy by investing in real estate." Amy can not think of a better way to spend her day! There is no greater joy to her than when she sees a satisfied and excited client to start a grand new chapter in their life. It's no wonder that Amy is now considered a Top Expert in her area. She has netted 98.7% for her clients of their asking price for the past 3 years. For 2007, she has netted 99.5% for her sellers of their asking price and her buyers have paid on average 92% of the asking price. As you could imagine, her clients are extremely grateful and are very satisfied! Amy also has a diverse background as she lived in Germany for 7 years while managing over 200 employees in 20 countries. In addition, with her 20 years of sales experience and strong career past, including running the European Division of a Brokerage Firm in Jacksonville Florida, she has learned a variety of skills. Amy had her sights on real estate way before she began working in it. When she was a recruiter for individuals in the advertising industry for top ad agencies, she compared this job to real estate. In fact, when people asked her what she did for a living, she would tell them she was like a Realtor, only she sells people. Needless to say, she has found her true calling! Amy enjoys traveling, and has found her favorite country to be Turkey and her favorite city to be Brussels, Belgium. 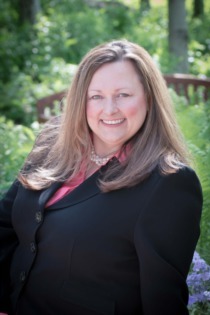 Amy holds designations in the following: CRS, ABR, e-Pro, SRES, CNHS (Certified New Home Specialis, and CDPE (Certified Distressed Property Expert).